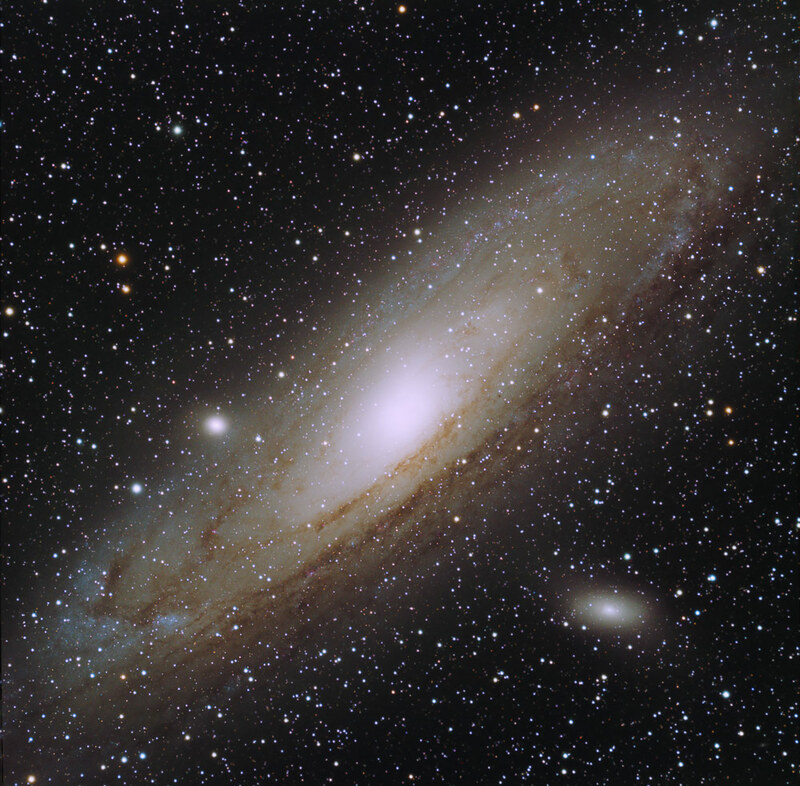 The Andromeda Galaxy (also known as Messier 31, M31, or NGC 224) is a spiral galaxy approximately 2.5 million light-years away in the constellation Andromeda. It is the nearest spiral galaxy to our own, the Milky Way. As it is visible as a faint smudge on a moonless night, it is one of the farthest objects visible to the naked eye, and can be seen even from urban areas with binoculars. It is named after the princess Andromeda in Greek mythology. Images Plus 3.75: Calibration, stacking, Deconvolution. CS3: Curves, Levels, Match Color, noise reductuin in Carbonis’ Actions, Smart sharpen.